The first step in narrowing your focus to uncover market opportunities. Many SMEs project a broad-brush version of their brand in the hope of capturing as many different buyers as possible. Unfortunately this strategy has the opposite effect. The way to find your most profitable buyer is to narrow your focus and concentrate on a specific group with similar needs. Position your offering based on these buyers top needs but in different way to your competition. 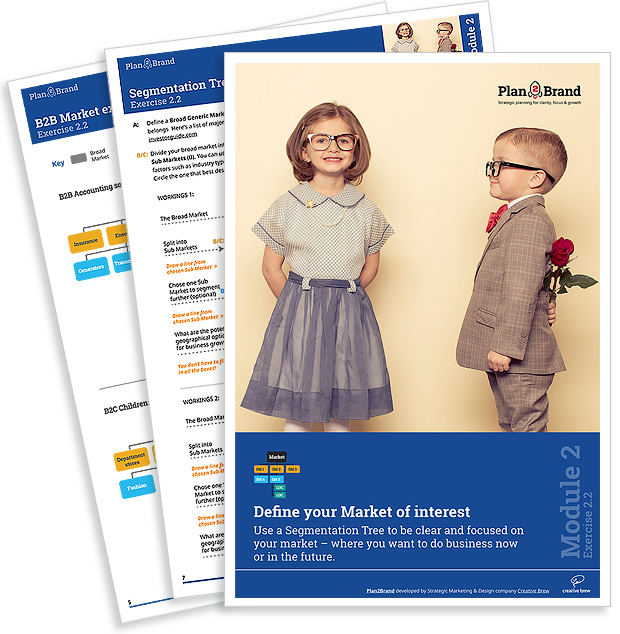 The Plan2Brand eTool shows you how to use this STP process and the exercise is your first task which is – to define the market in which you operate.